Since 2014, the Pillar House in Ballinasloe has operated the Pillar House Folk Club, welcoming a veritable 'who’s who' of the Irish folk & trad scene. To acknowledge the fourth anniversary of the Folk Club, Dónal Clancy will make his maiden appearance at the small, intimate venue. Regarded as one of Ireland’s finest guitarists, Donal Clancy is the son of the world renowned singer Liam Clancy of the Clancy Brothers and Tommy Makem and has, since the death of his father, focused his attention on the family repertoire of songs that he grew up with, while keeping the Clancy tradition alive with his solo performances. A founder member of the group Danú, Dónal left to join a trio with his father Liam and cousin Robbie O'Connell. Their debut tour in 1996 took them across the US from the Santa Anita Race Track in Los Angeles to Lincoln Center in New York. They continued to tour together for a couple of more years and recorded two albums before they disbanded in the early noughties. In 1998, Dónal moved to New York where he became the go to guitarist for many of the top Irish music acts in the US. He toured and recorded with Riverdance fiddler, Eileen Ivers and was a guest with the Chieftains on their 'Tears of Stone' tours in Japan and the US. He has also been a member of the Irish American super group Solas and contributed to the soundtrack of Ric Burns’ award winning documentary film New York. 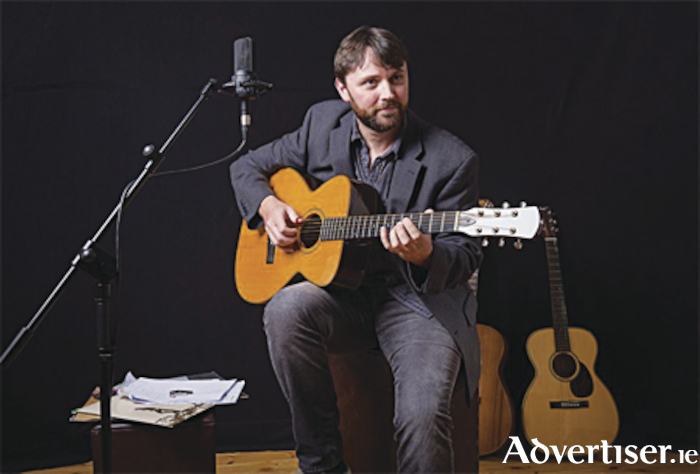 In 2009, Dónal returned to live in Ireland with his wife Mary and their three children and in 2014, to much critical acclaim, he released 'Songs of a Roving Blade'. Dónal’s latest album, 'On the Lonesome Plain', features a mix of seven vocal tracks and six guitar instrumentals, including two of his own compositions 'A Strike for Victory', commemorating the 1916 Easter Rising and an instrumental piece entitled 'Máirseáil na Conrach', preceded by the 'Green Fields of Canada'. Other standout tracks are 'Open the Door Softly' from the pen of Scottish Folk legend Archie Fisher and the classic ballad 'Reynardine'. Clancy is an exemplary finger picker and his vocals resembles his father’s at times with the distinctive Clancy tones, yet he manages to breathe new life into traditional folk songs. This is surely a night not to be missed by all of those who have enjoyed the music of the Clancy Brothers in the past and who will, without doubt, enjoy an evening of music and song by Dónal Clancy in the intimate setting of The Pillar House.